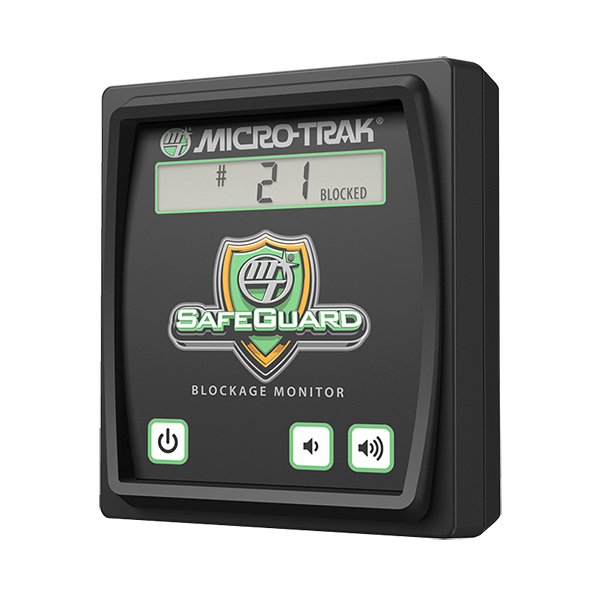 SafeGuard™ Blockage Monitor | Micro-Trak Systems, Inc.
SafeGuard™ electronically detects blockages and alerts you with an Audible Alarm and a Visual Display of the blocked row’s number. Reduce over and under-application, save money, and apply liquid fertilizer with confidence without having to watch flow monitors or outlets. Compact in-cab display that monitors, identifies, and reacts with lightning speed to immediately alert you to blockages. 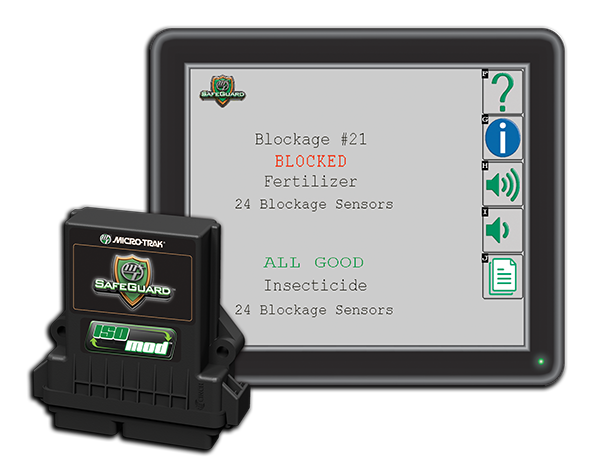 “Last year (2013) after I installed my new “blockage monitor,” it worked fine in the yard & was ready to go to the field. So when I got to the field, my very first pass the monitor went off telling me I had a blockage, I couldn’t believe I could have a problem so soon, sure enough, I had an orifice plugged, I may have planted all day before checking flow again. So I unclogged the orifice & got back to planting, this time assured I was getting fertilizer to every row.